 Vilniaus kolegija/University of Applied Sciences cordially invites you to take part in the INTERNATIONAL WEEK at Vilniaus kolegija/University of Applied Sciences (Lithuania) which will take place on 2-6 March, 2020. You will have an opportunity to teach students in another cultural and academic context, to meet staff of Vilniaus kolegija/UAS and colleagues from different countries. We expect lecturers to teach our students min 8 academic hours. We look forward to receiving your registrations from 1st of September 2019 till 31st of January 2020. Don’t miss the opportunity to visit Vilnius, the capital of Lithuania, which is one of the UNESCO Word Heritage cities!